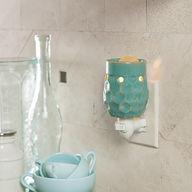 Intricate geometric patterns in a silver finish give the Filigree Pluggable a contemporary classic look. 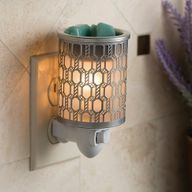 This turquoise reactive glazed pluggable warmer, with its all-over honeycomb pattern will be a bright addition to your décor. 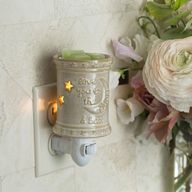 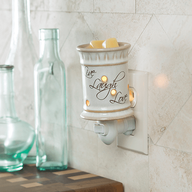 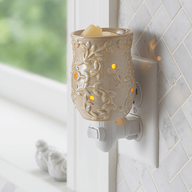 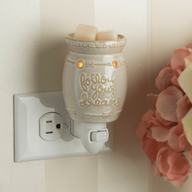 These will plug right into an outlet and use an electric bulb (15w) to fill any room with fragrance! 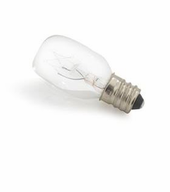 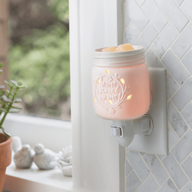 we recommend using these with our drizzle meltstm, a scoop of our candle refill wax, a tart broken in half, or our fragrance oils!measures 2.83"l x 2.83"w x 5.16"h use our 15watt plug-in warmer replacement bulb when replacing bulb. 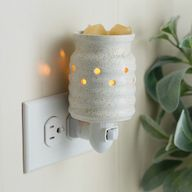 Can be used in both vertical and horizontal outlets by twisting the plug base, making them ideal above counter outlets in small rooms and spaces. 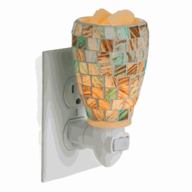 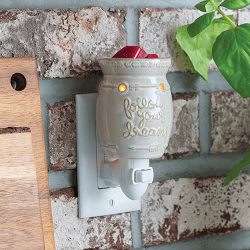 Replacement bulb for our Pluggable Fragrance Warmers and Midsize Illumination Warmers.